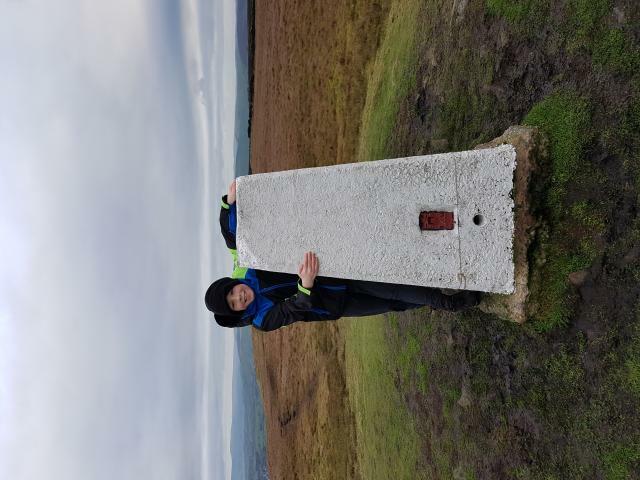 There are 73 photos for this trigpoint (view album). 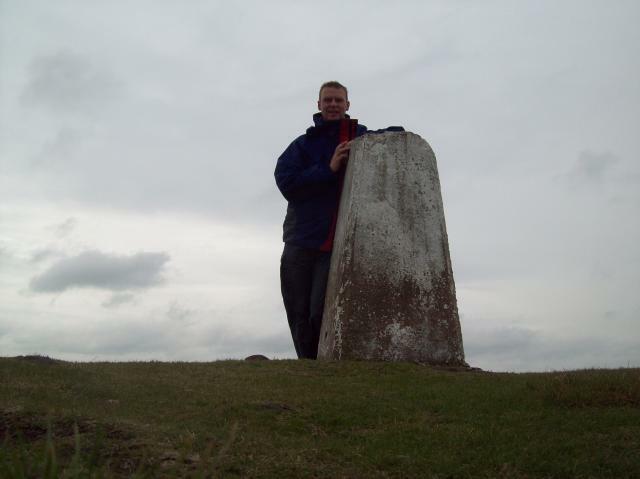 Is ranked joint 1787th with 80 other trigs (more). See 64 more in the album. 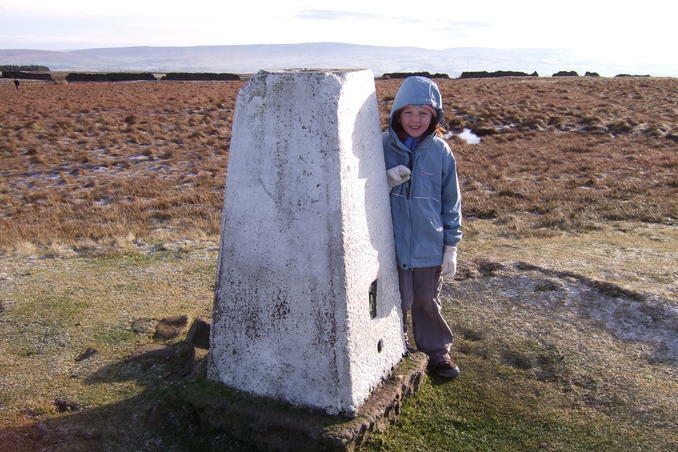 Great Trig point! 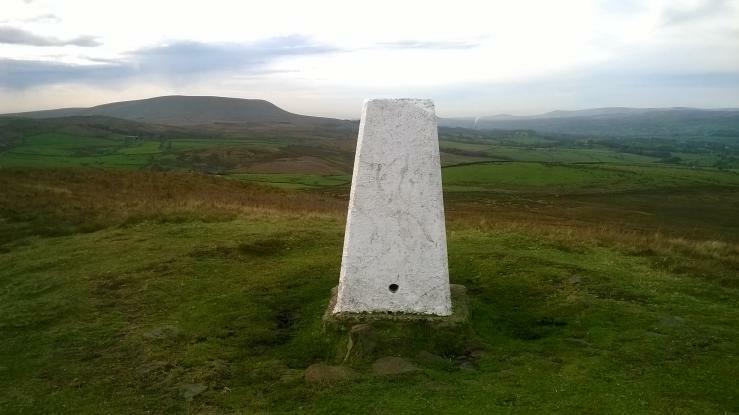 Well kept, good walk up to it and cracking views towards Pendle and The Dales. 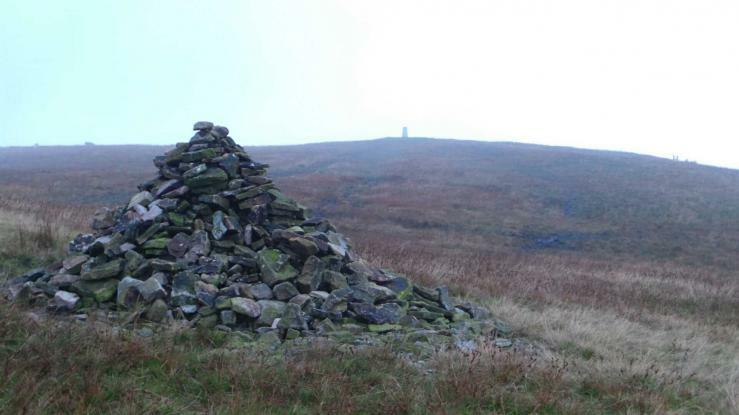 Weets Hill. 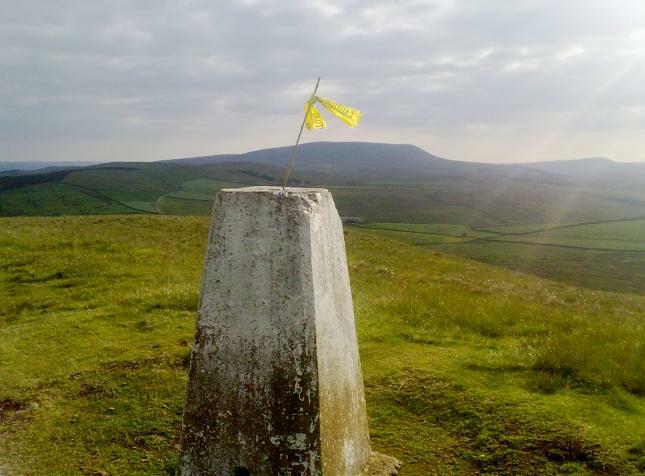 Stunning views along the 2 mile Pendle way route. 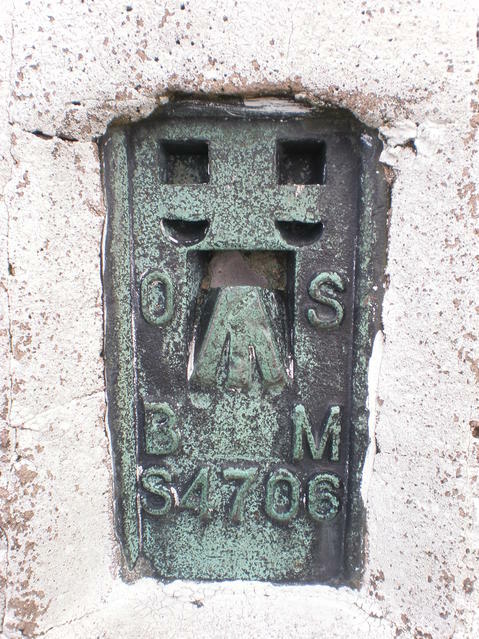 From Folly lane, Barnoldswick. 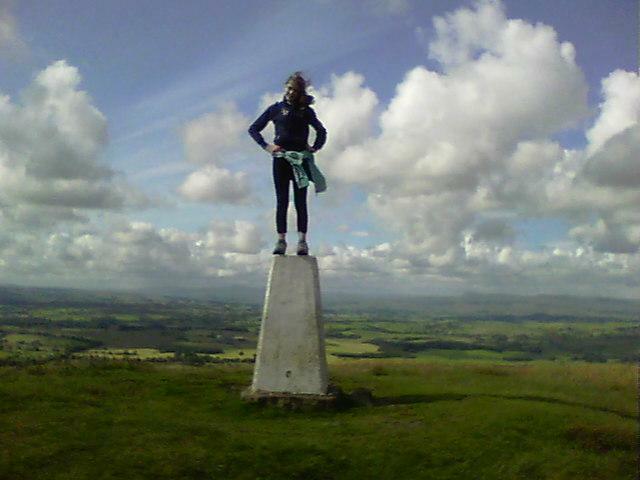 Windy at the pillar. 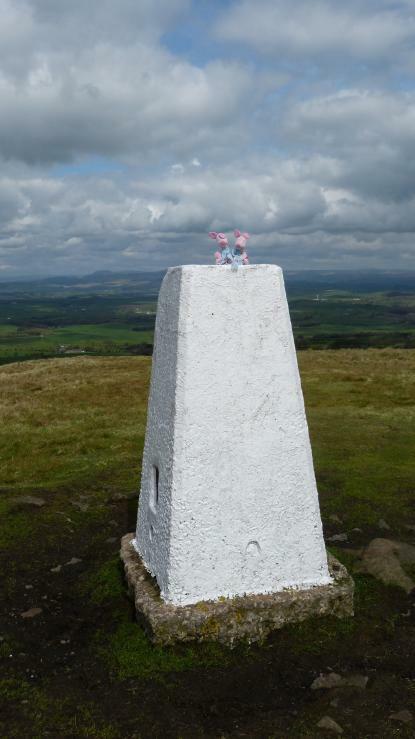 Last of 3 (in one day, best I've ever done) Sawley Grange Farm, Gisburn Moor & Weets Hill. Foggy damp. 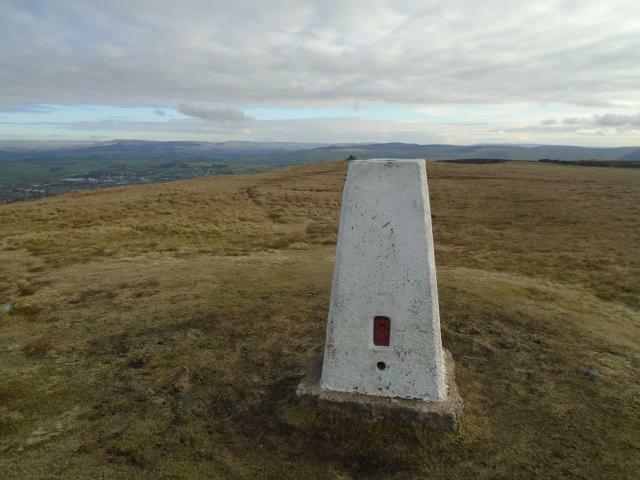 Easy climb, good views and a seat close to the trig. 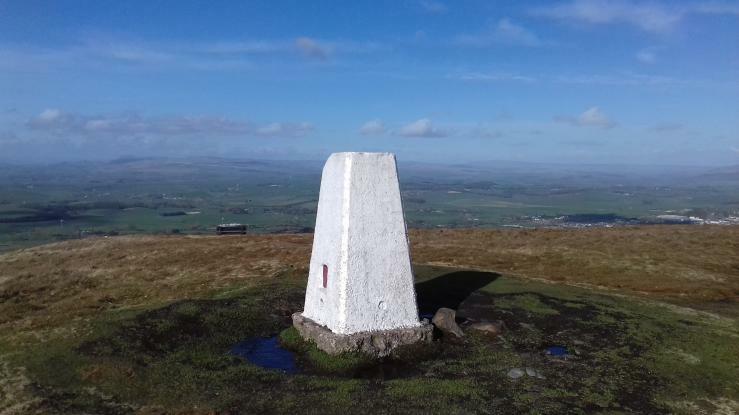 I walked up after revisit to Gisburn Moor,via Coal Pit Lane & Pennine Bridleway on a revisit.Great morning out in good weather with Pendle Hill always in view. Parked on Stocks Lane to PROW to pillar. 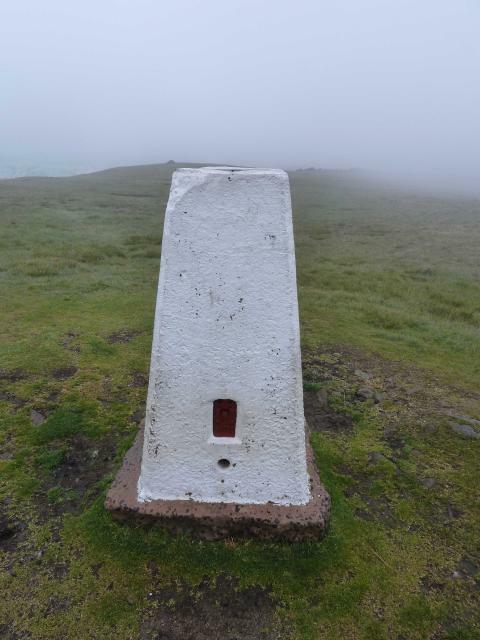 White painted pillar, damage to top, two sight holes open, no cap/plug, good 360� views on a fine day. 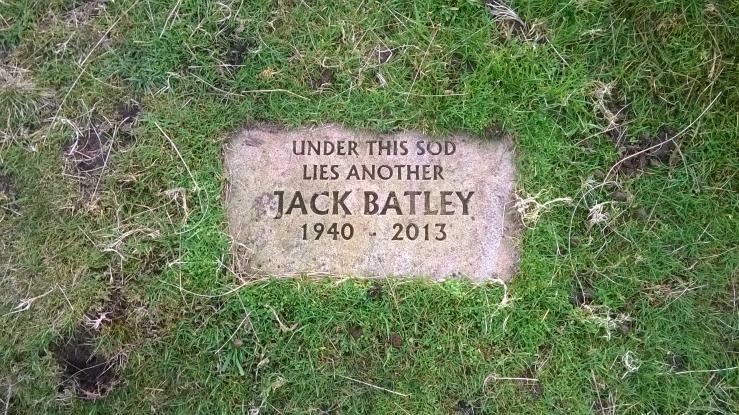 Just past the pillar is a wooden bench with a stone memorial plaque which reads ' Under this sod lies another Jack Batley 1940 - 2013'. 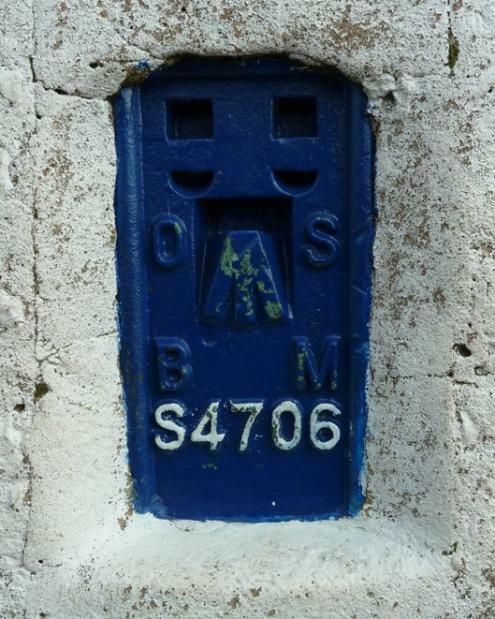 Roadside parking on B6251, Manchester Rd, Barnoldswick near The Greyhound pub. By the pub is a ginnel (Fourty Steps?) leading to Gillians Lane. R then L into Moorgate Rd/Folly Lane. 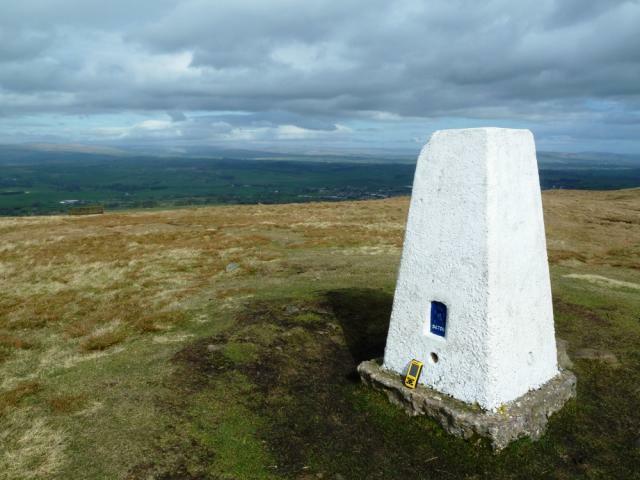 Then follow Pendle Way to summit. Solo. A good one. Awesome 360 views on a beautiful day. 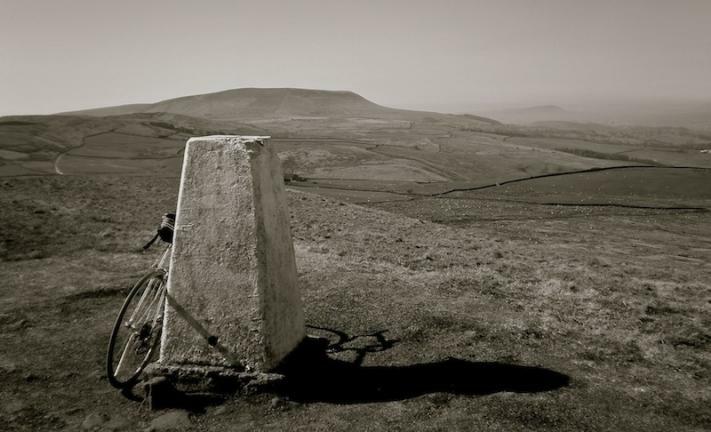 Could see Pen-y-ghent and towards Craven. 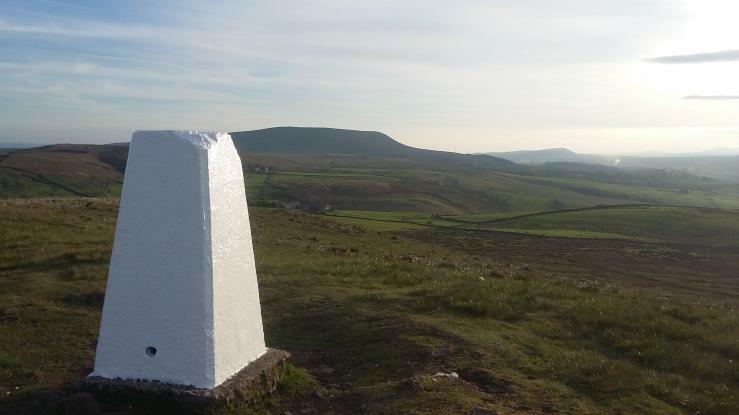 Trig look freshly painted. 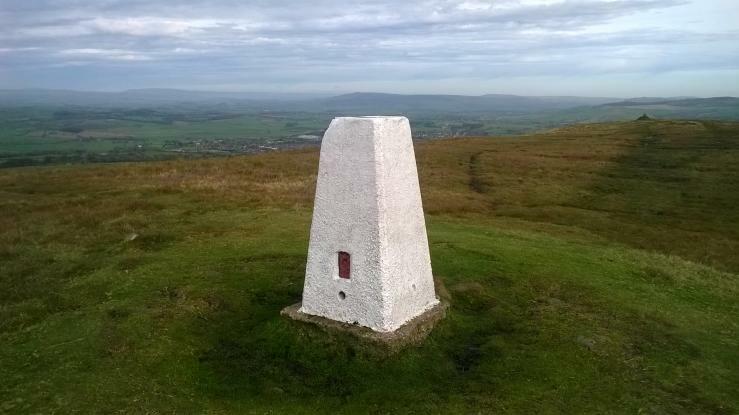 Parked at Bancroft mill in Barnoldswick and walked up the Pendle Way to bag the trig. 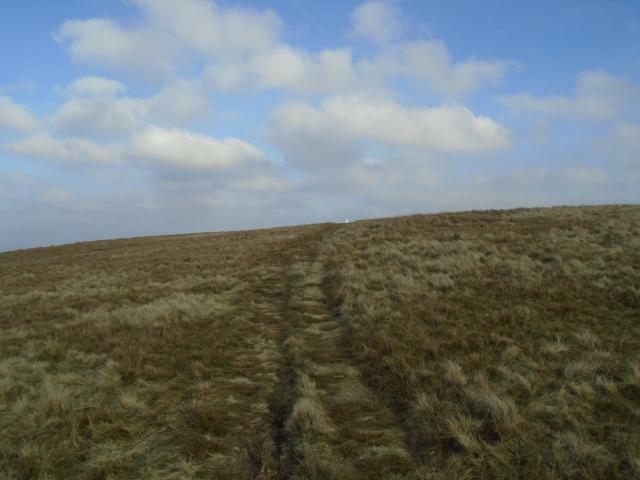 Followed the road (On the left after the trig) down to meet a bridleway on the left back into Barnoldswick. 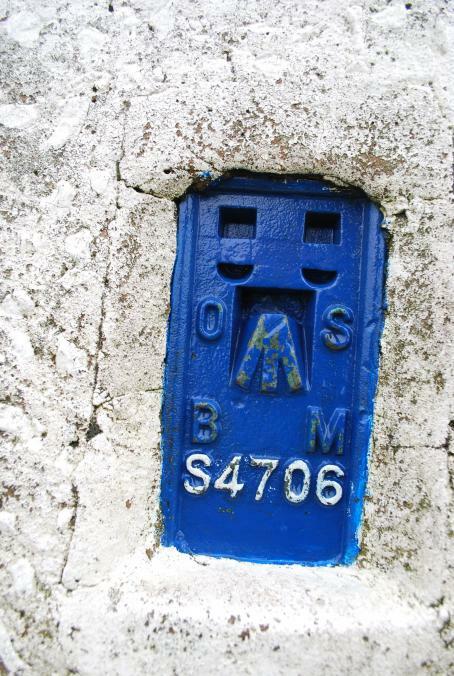 There is a bolt type trig point in the wall by the bridleway sign too. and we passed sculptures of Greek Gods outside a house on the way back! Like you do! 5 Mile round trip. 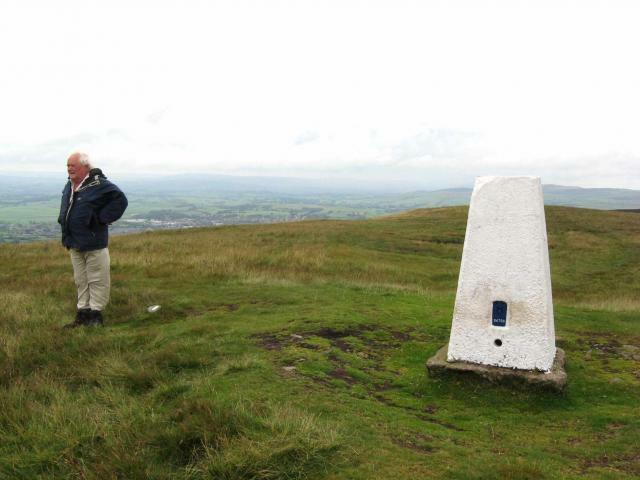 Great views of Pendle Hill and down into Barnoldswick! Revisit. Pillar in fair condition. Spider centre open, innards filled with debris. 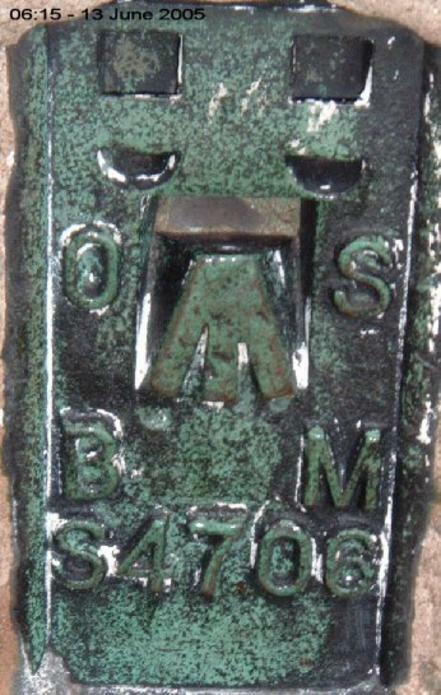 Flush bracket faces WSW, ~253�. Vented through SW and NE sight holes, bolt bf bolt solhouette viewable. 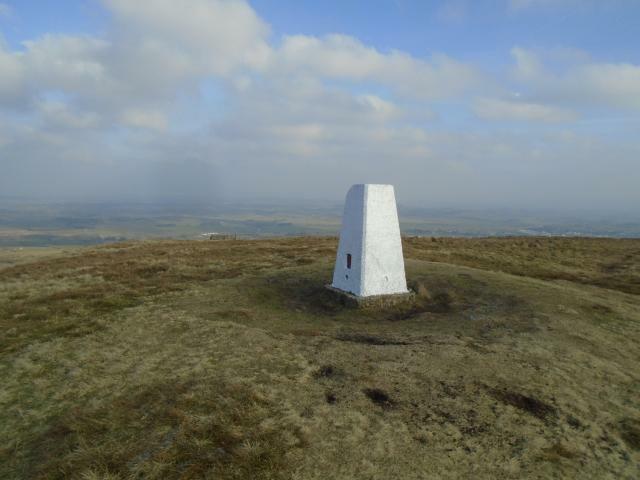 Full 360� panoramic view from top. From Letcliffe Country Park ascending up Folly Lane and descending via Lister Well Road. 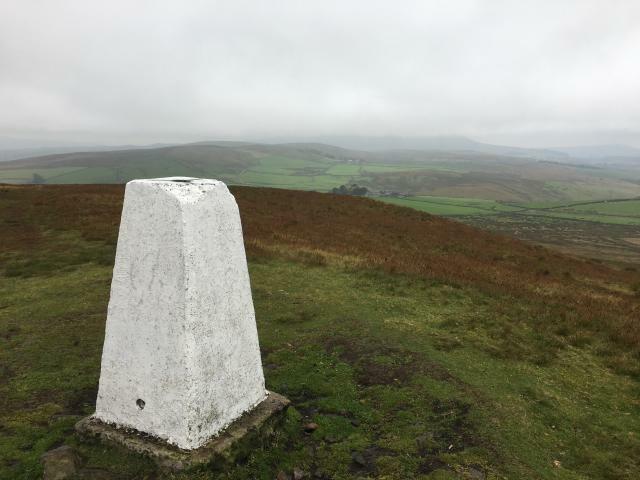 Pleasant round trip on a cloudy day, with a cold wind on top. Short walk along footpath. 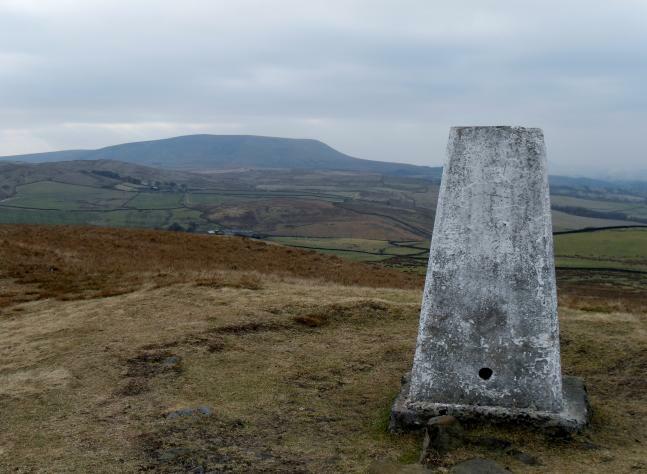 Looking back to Pendle hill. 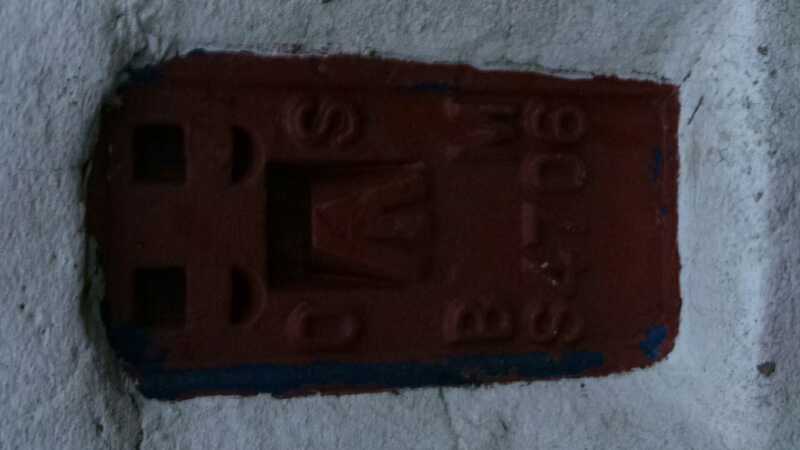 Flush bracket painted red. Fresh flowers laid at plaque nearby. 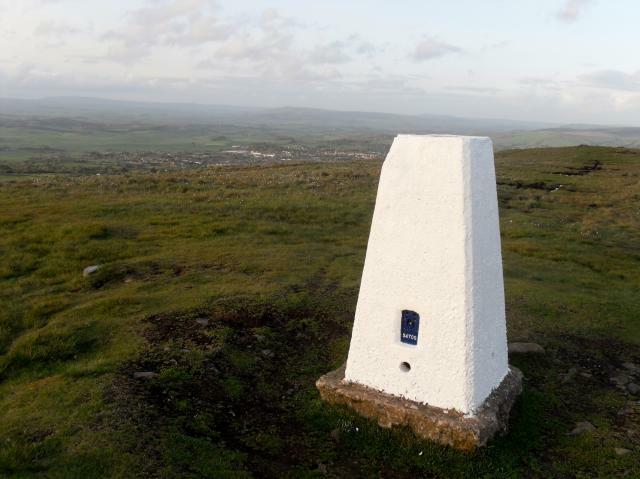 Revisit I walked up from Barnoldswick & back down via White Moor. 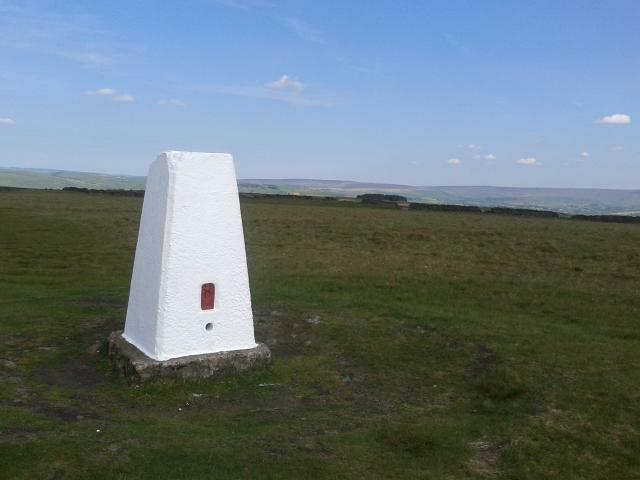 Trig was painted brilliant white with red flush bracket. Although weather was wind, rain, hail and fog, got a brief moment of sunshine to show Yorkshire's finest. Will definatley go back in better weather. 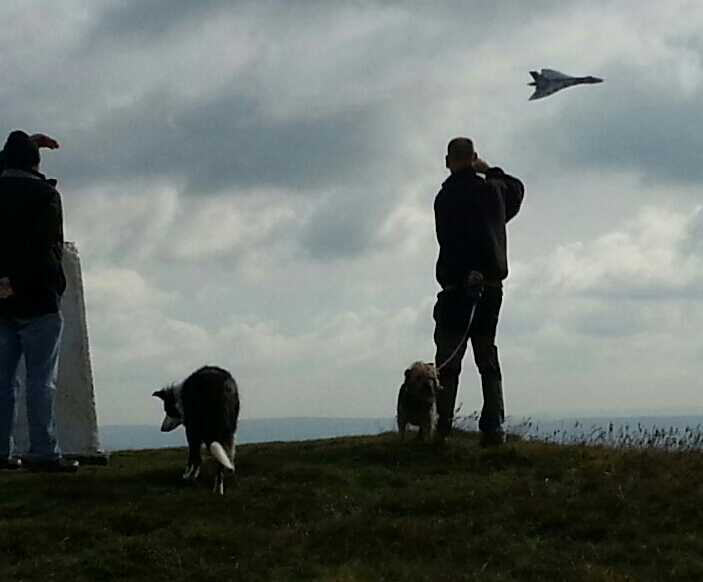 came up to watch the vulcan bomber flypast. impressive! rode UP cul-de-sac lane from SE: well surfaced right to house at end. Pillar white painted with red FB. 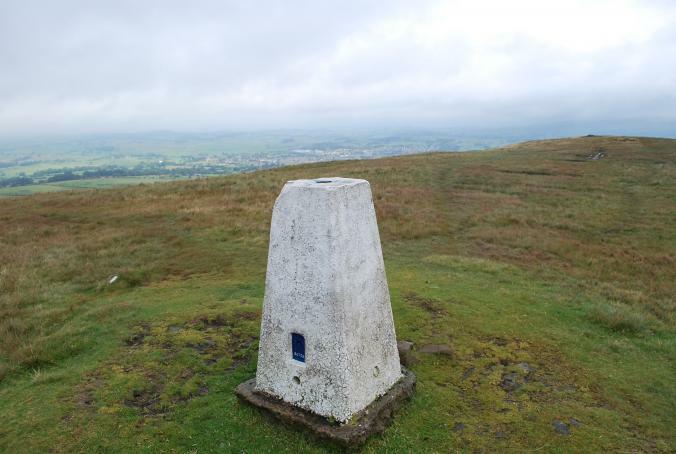 Thought of following ROW down NW, but returned same way and into Barnoldswick for lunch. 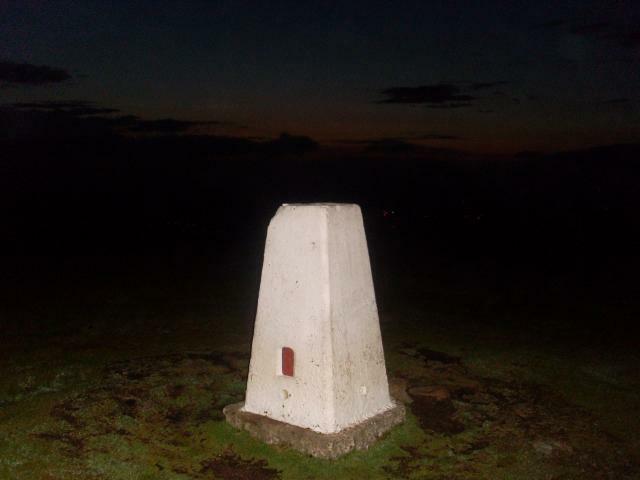 Very interesting pillar for a middle of the night visit with a balanced mix of rural and suburban views. Cap missing. Red painted on FB, pillar painted white with chips around spider. Memorial plaque on adjacent stone. 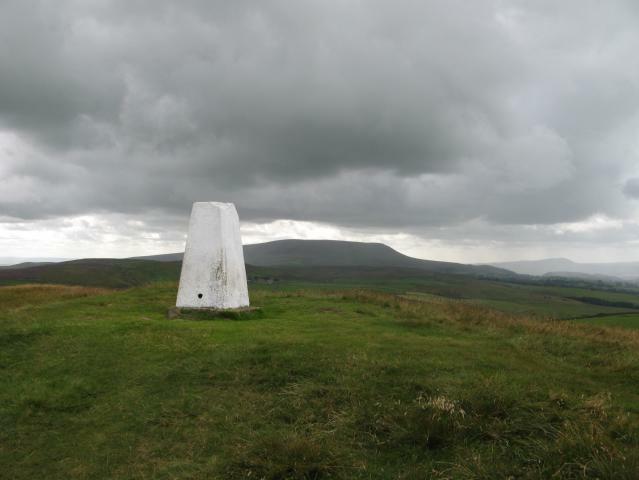 Walked up from Barnoldswick on Pendle Way . t The weather was a bit dull and the full extent of the views hidden . Centre cap missing, clear day, cracking view. Visited with Fiona and Simon. 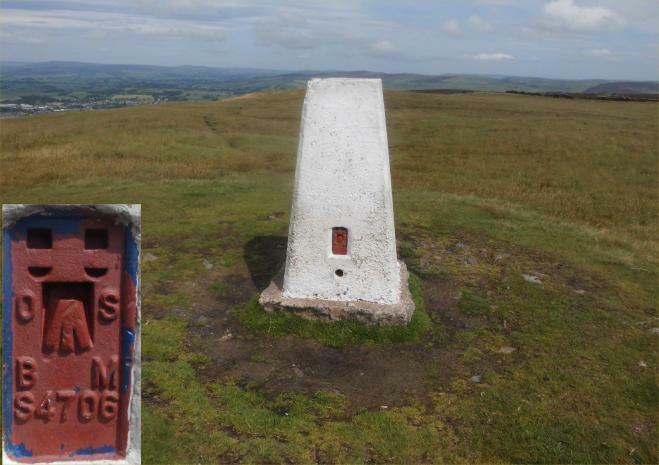 trig with myself and Fiona Fresh paint, corner broken off and centre cap missing. 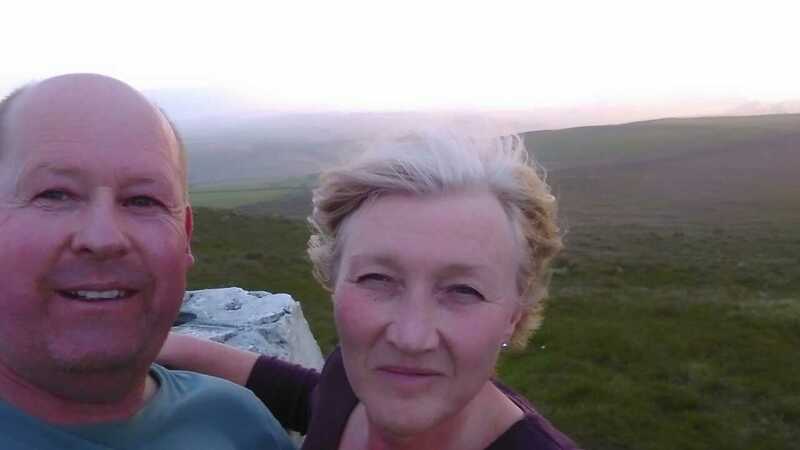 Nice walk up from Barnoldswick. 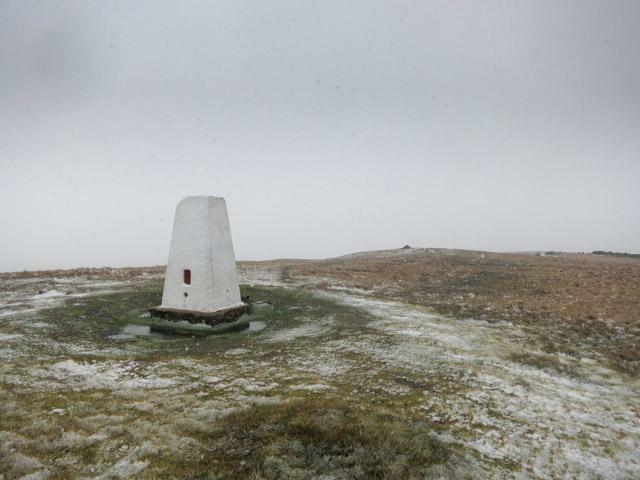 Blizzard-like conditions on the top today so no view. 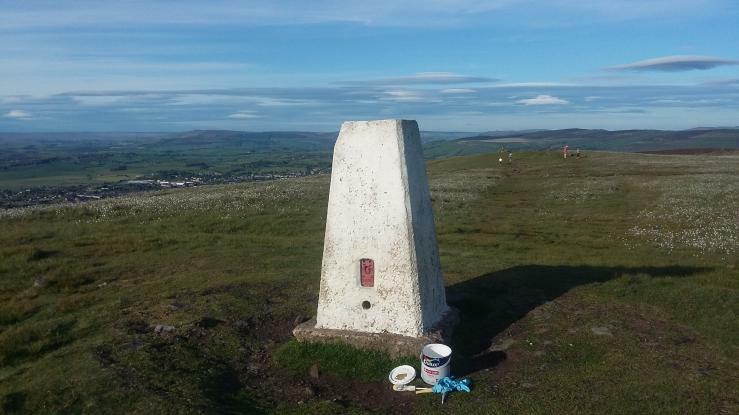 Revisit on way back from work had some gear leftover from a job so gave the trig a revamp.People talking again whilst painting many questions seemed to take more paint this one than the others a full one litre. 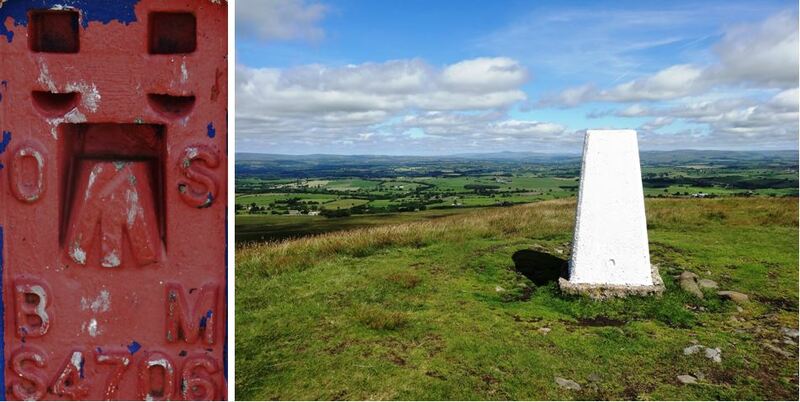 Great views as ever from here sunny again,PS repainted fb in matt red. 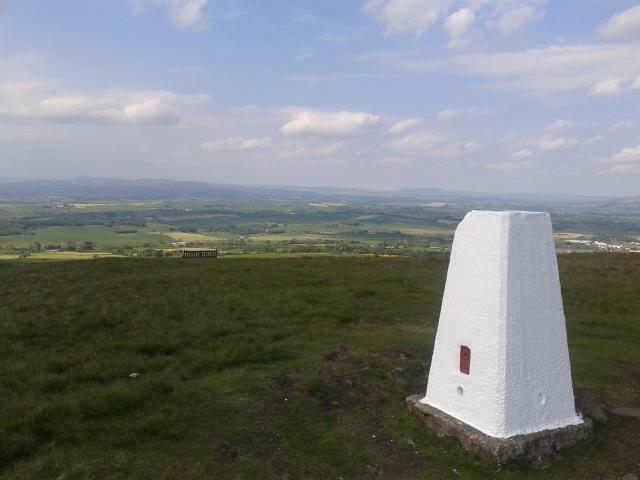 Nice location pillar painted white with blue FB...... short walk from end of Gisburn Old Road . 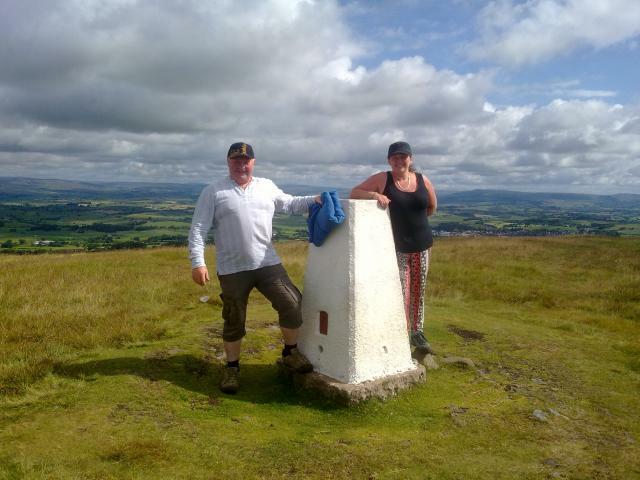 Good Weather really nice walk, Bench on summit to eat your sandwiches and fabulous views. Not forgeting the Head Statues via route are spectcular. All in all a great day. Extensive views. 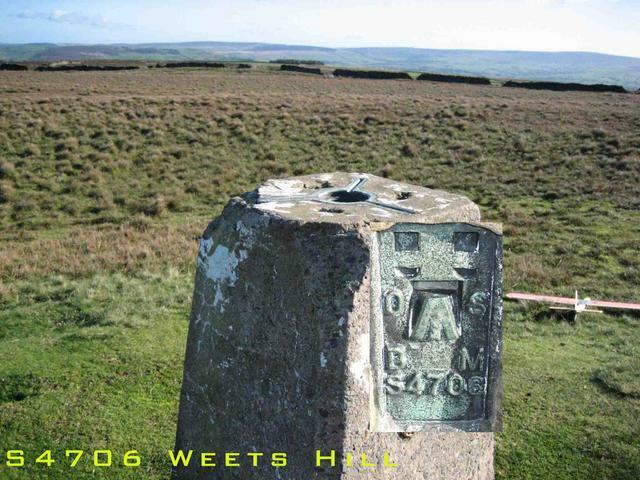 This is a good trig for a sunny day. Fantastic view all round. Quick visit during my lunch hour whilst working in Barnoldswick. 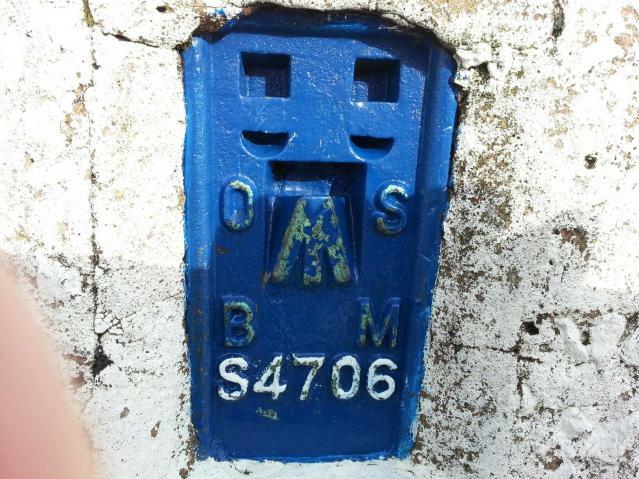 Not too keen on the blue paint on the flush bracket painertman61! 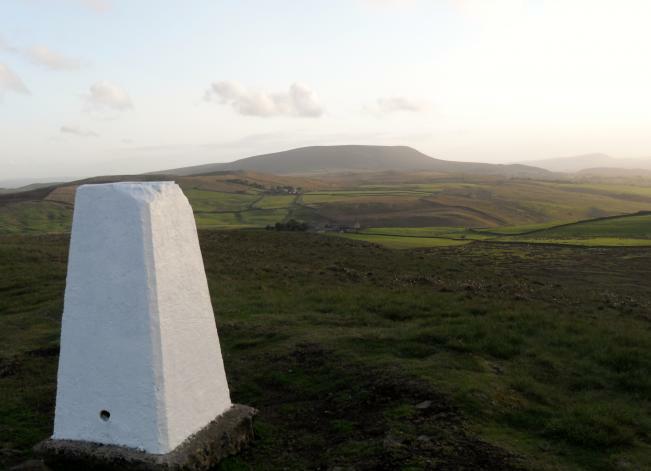 Left the car just south of Star House then walked up Old Gisburn Road to Weets House where there is limited parking. 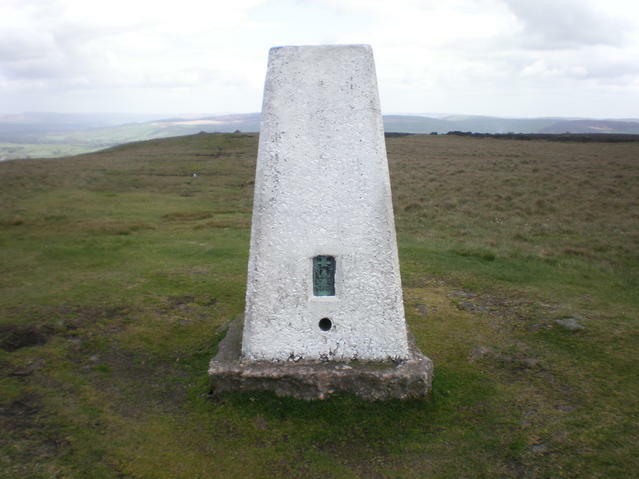 Just a short walk to trig from here on lovely sunny mild November afternoon. 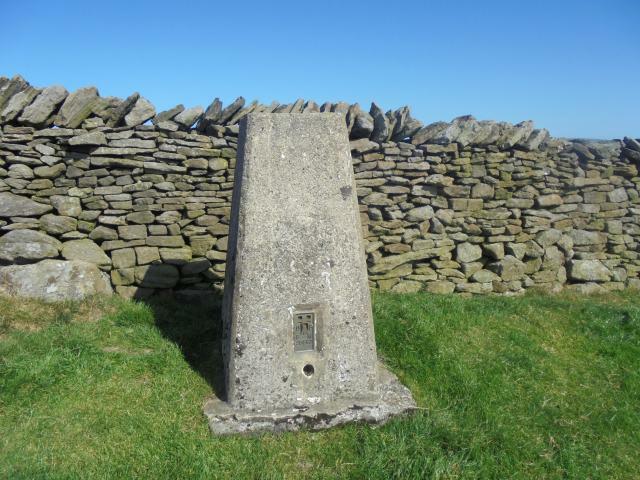 Parked at end of tarmac road.Nice strole to trig. Sunny but hazy. Not my first visit up to Weets by any means. 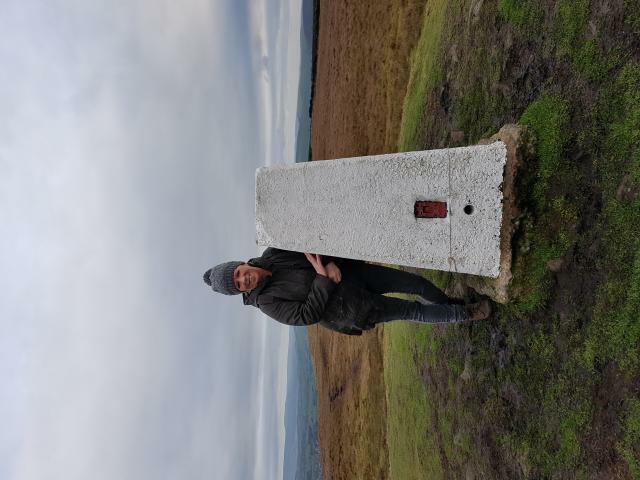 Walked up this Sunday (with Dad) from Bancroft Mill. 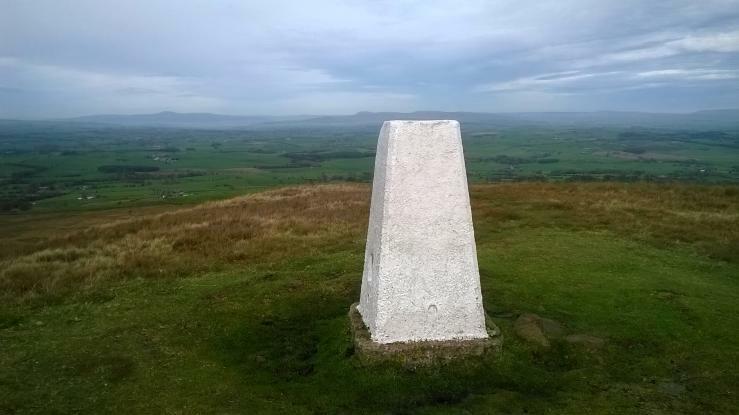 A bit gusty and showery but great clear views from the top. Went back down in a roundabout way to catch the last half-hour of the Bancroft Mill Engine in steam. 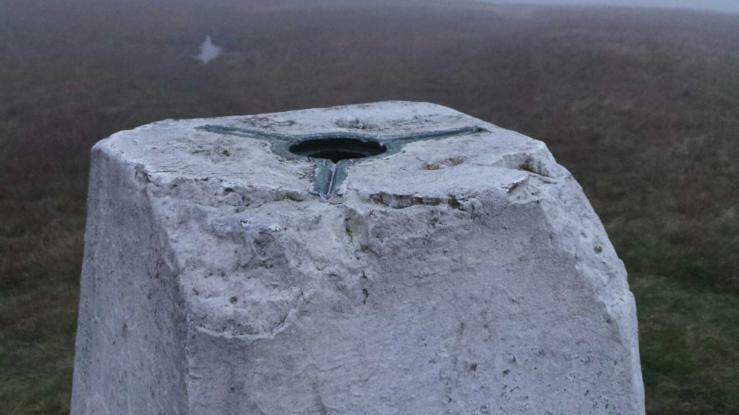 Oh yes, the Trig Point...nearly forgot. Looking well and obviously recently painted (by Painterman). 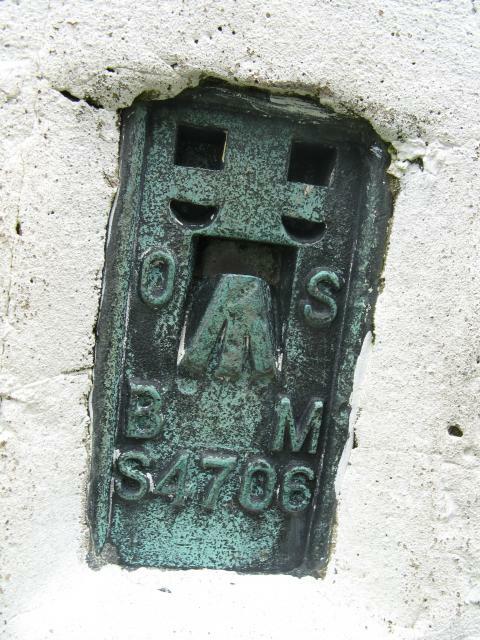 Plug missing and slightly knocked-about top. 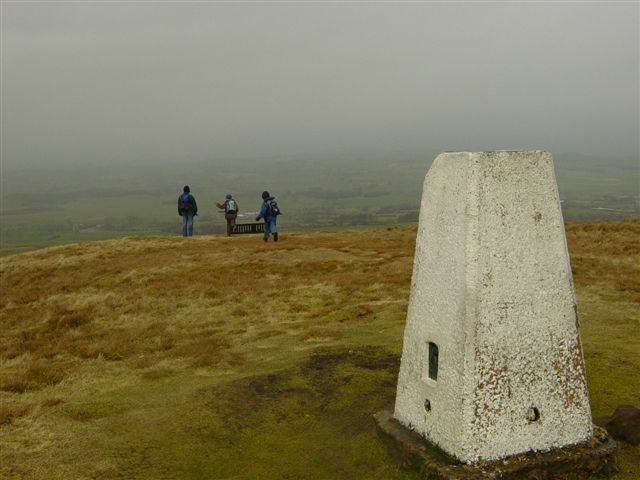 Weets Hill Trig with Dad Dad looking towards Pendle Hill which was looking very moody this showery day...low cloud skimming its top. 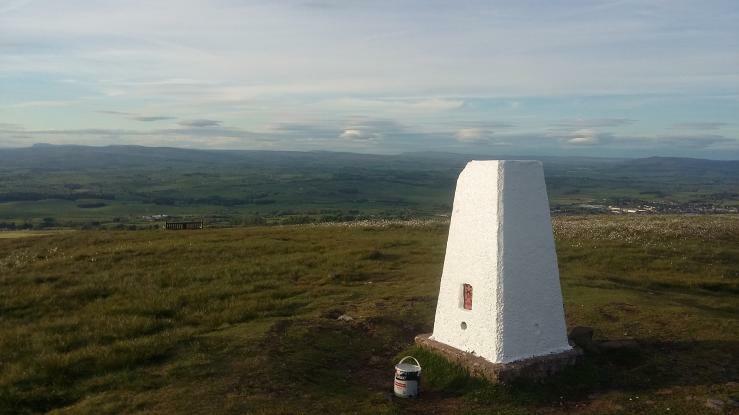 Driving back from a estimate in barlick i decided to give the trig a makeover i nearly run out of paint due to the roughness of the surface, always great views here freezing raw wind tonight. 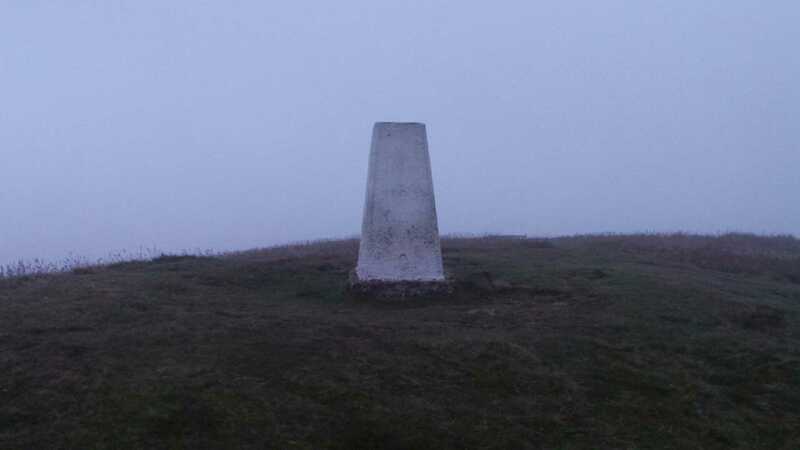 Very dull conditions today very cold wind blowing,trig has exellent view of pendle hill. 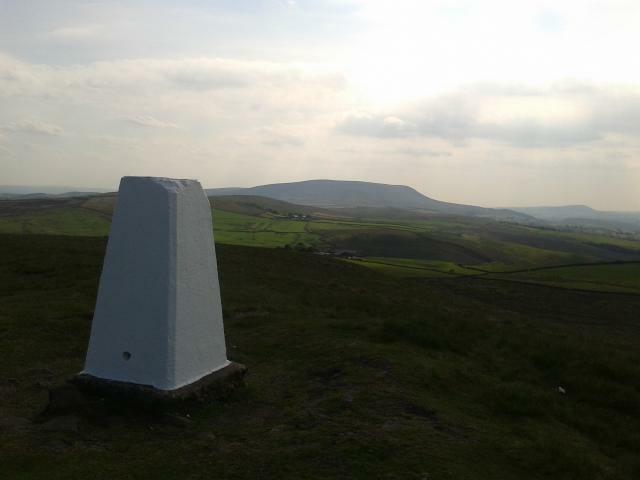 Picked a perfect sunny morning and views of Pendle were very impressive. Walked up from Bancroft Mill (next in steam on 21 November afternoon). A bit mucky in places but pleasant. Great views. 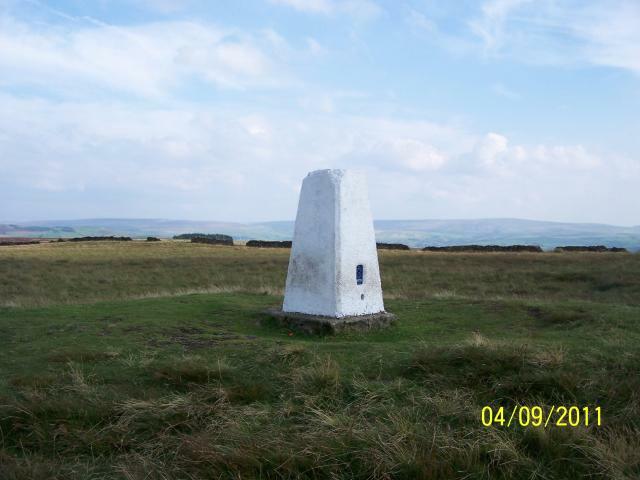 Excelent Wiewpoint trig in good condition ,very short walk from road at side. 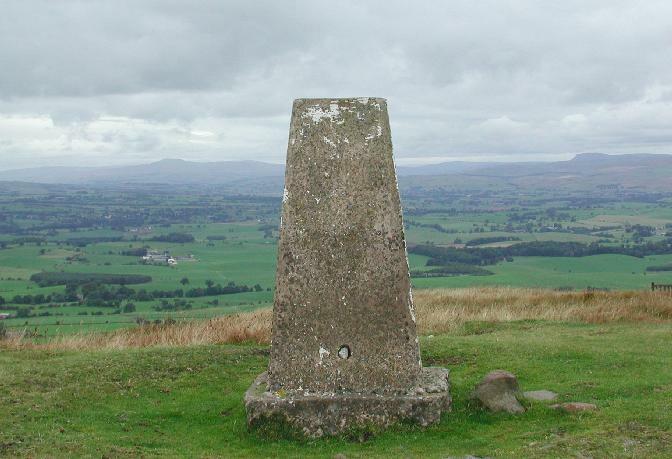 Parked on the A682 near the Moorcock Inn then made my way to the column along the 'Pendle Way'. No views, very misty. 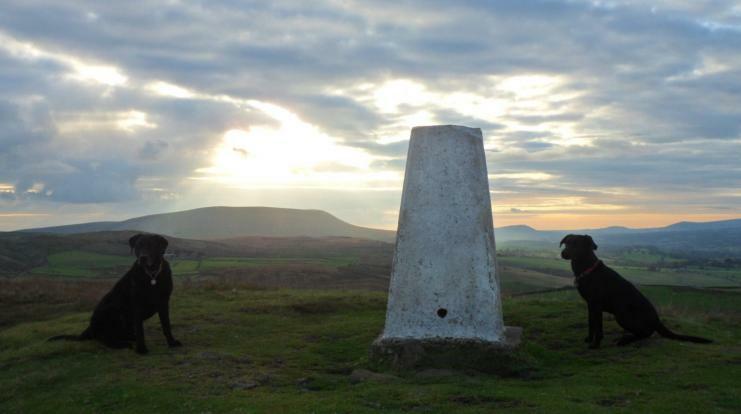 Last pillar of the day followed by drinks and chips in Skipton - does life get any better than this? Cold westerly blowing, with drizzle. Not much of a view as clouds were low. Still it was bracing. 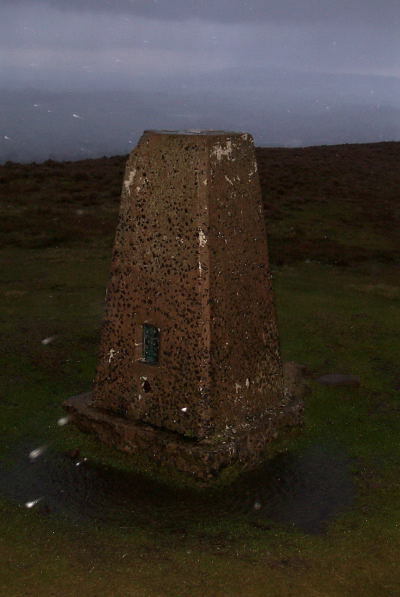 Trig in slightly damaged condition Walked up from The Moorcock inn Car Park. 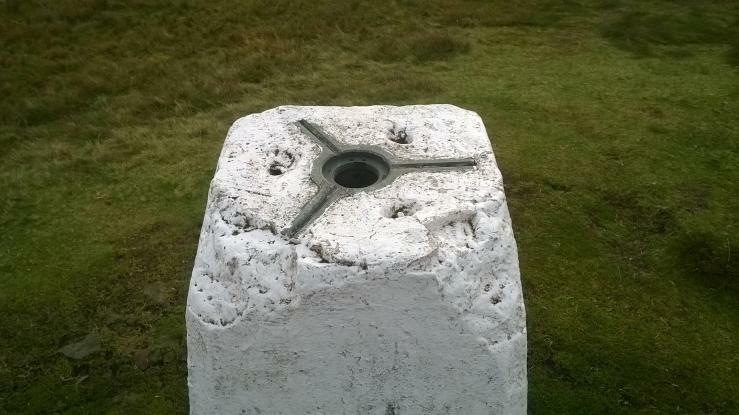 Weets Hill The trigpoint, three sight holes open, not LH side. Weets Hill Another view of TP. 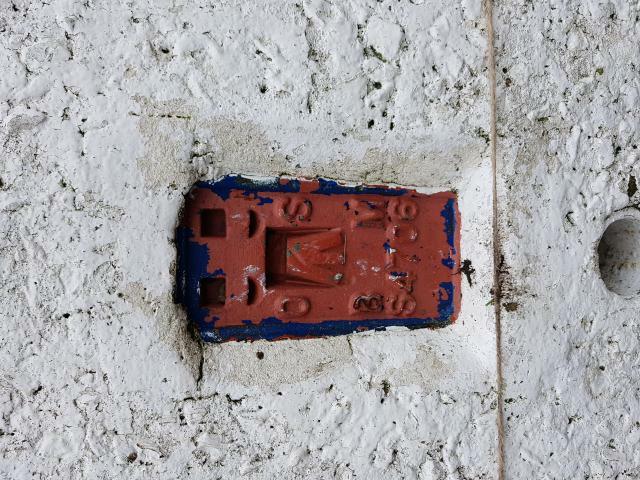 chunk missing from top, no cap or plug, recently painted white. 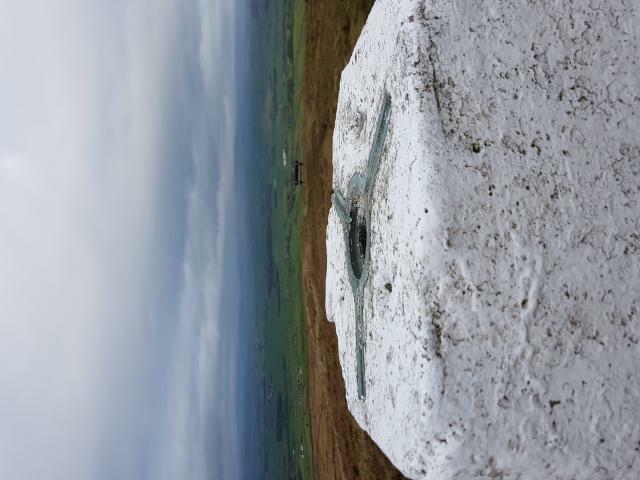 Grassy summit, bench just to N, fine view. An after the event logging from a visit prior to finding this site. 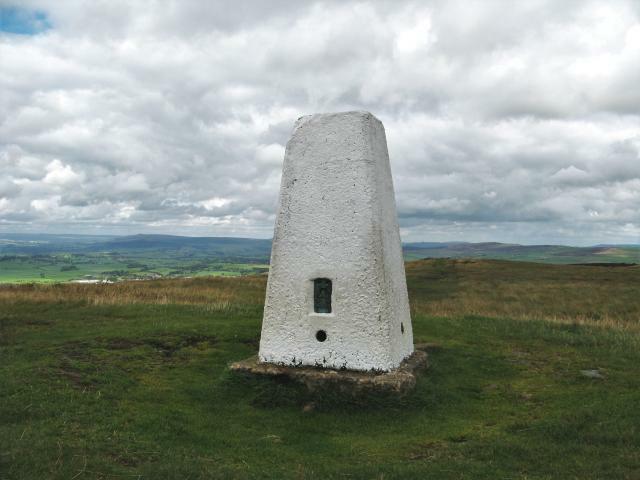 A stiff climb up from Barnoldswick. 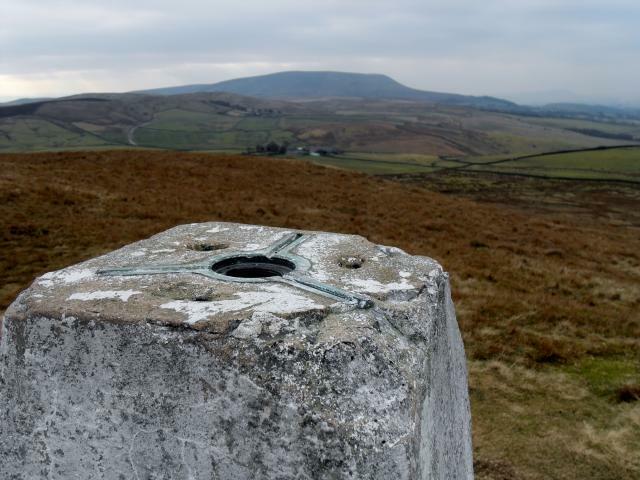 Rather too hazy to get the best of the views, though I could just make out Ingleborough and Whernside in the distance. NEW YEARS DAY and absolutely horrendous weather. Margaret, Charlie(9), Harvey(5) and I battled through torrential rain, hail and wind to bag this one. The BBC weather forecast said today was going to be gloriously sunny!!!! 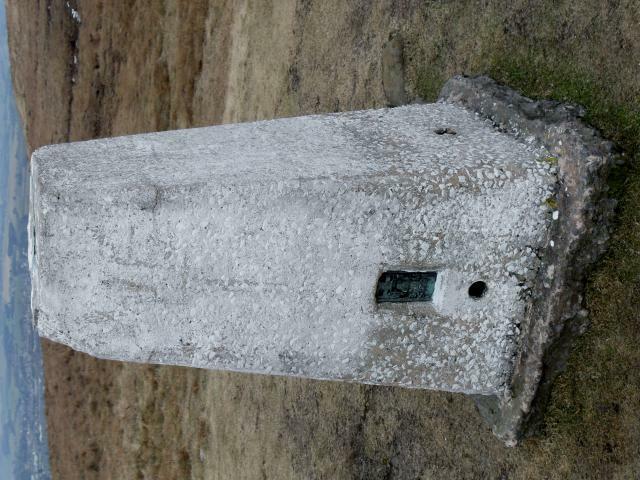 Look closely at the trig photo and you'll see the hailstones falling. 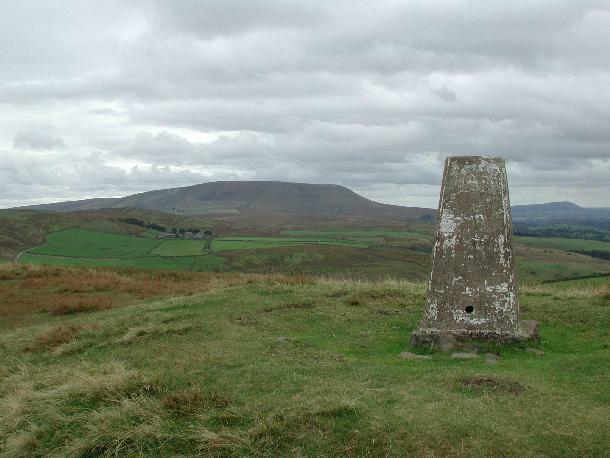 Clear day, nice views, Longridge Fell, Beacon Fell and Parlick. 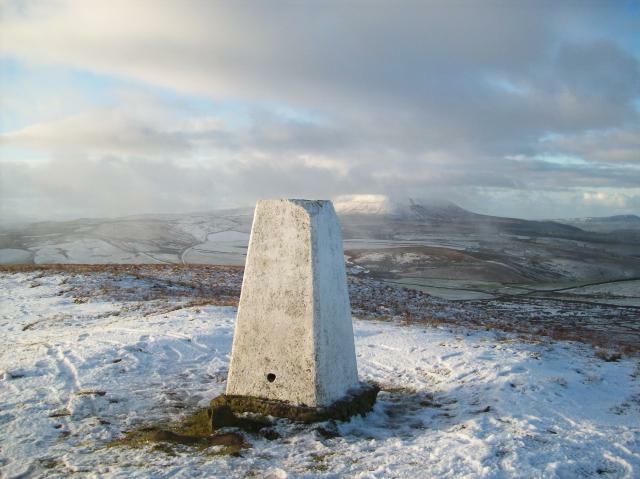 Also 2 of the Three Peaks. Ideal day and location for flying models. 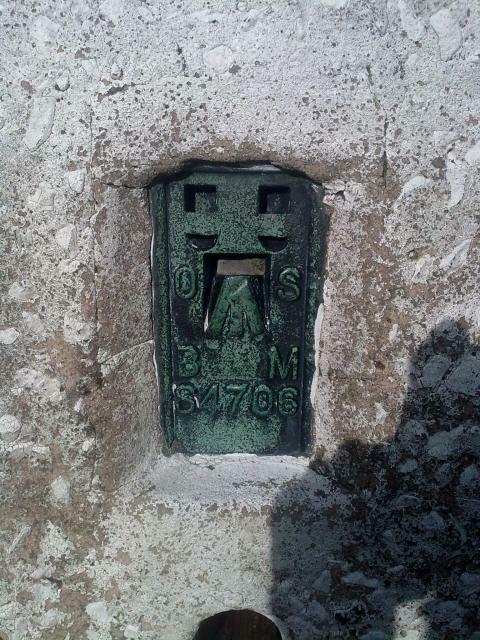 Plug missing; chunk out of top of pillar; 3 sighting holes open. 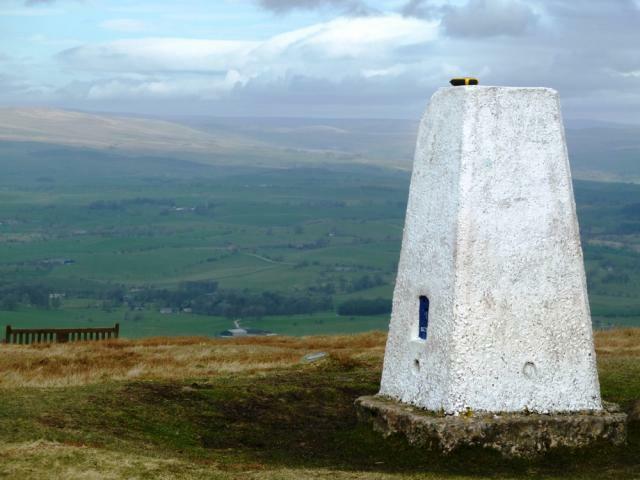 Good views including Ingleborough, Penyghent, Barden Moor, Flasby Fell, Pendle and Barnoldswick. Overcast day to log it, its my first. 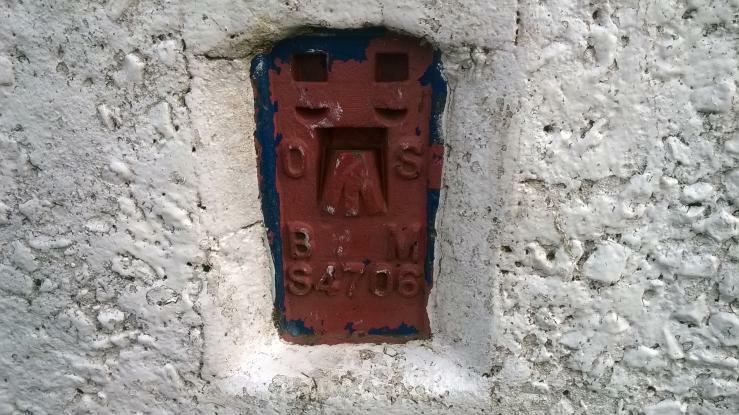 Placed a geocache near to it. Fantastic views all round-even a bench to sit on!! Visited to record FB number. 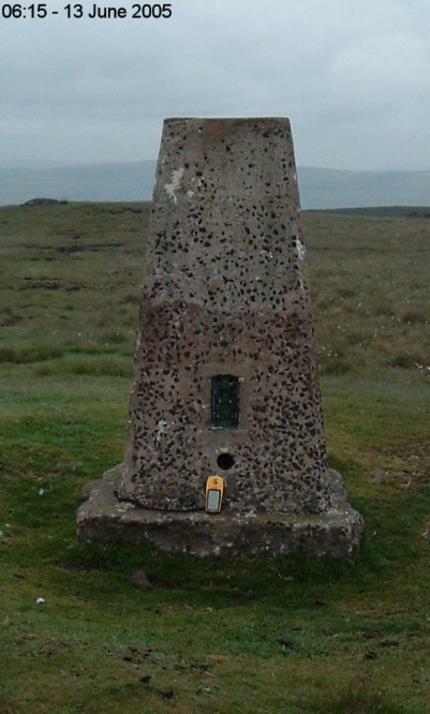 The pillar was completed 28th August 1948, cost not on record. 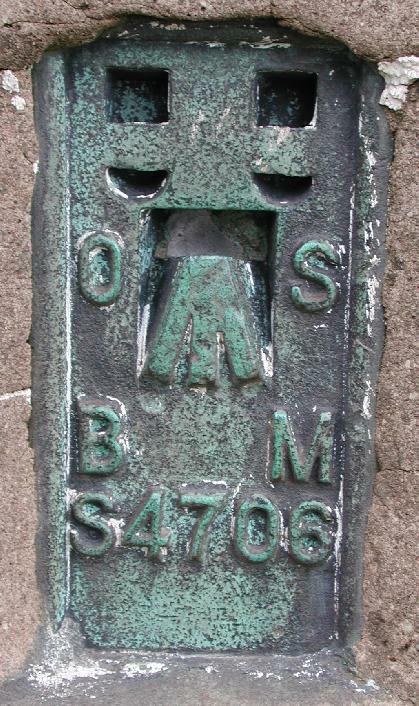 In 1951 this marker was computed for triangulation as secondary station SD96/19 the the Skipton block. 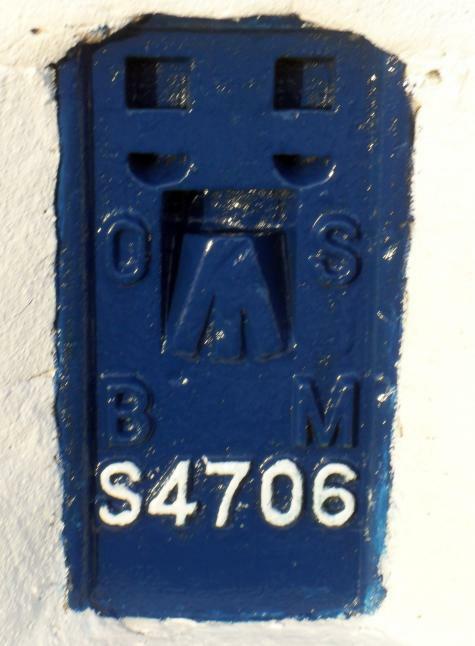 flush bracket S4706 was levelled for height in 1962. 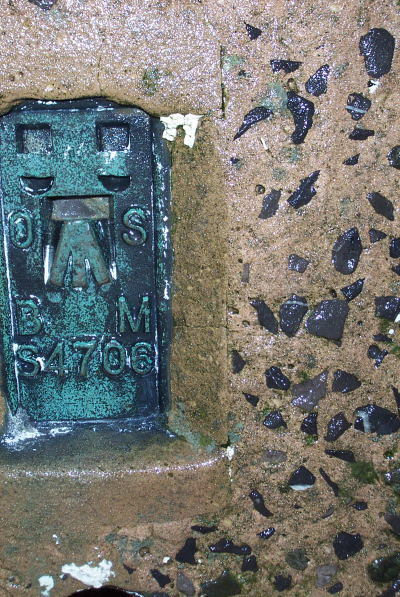 This trig point was last maintained by the OS in May 1976.